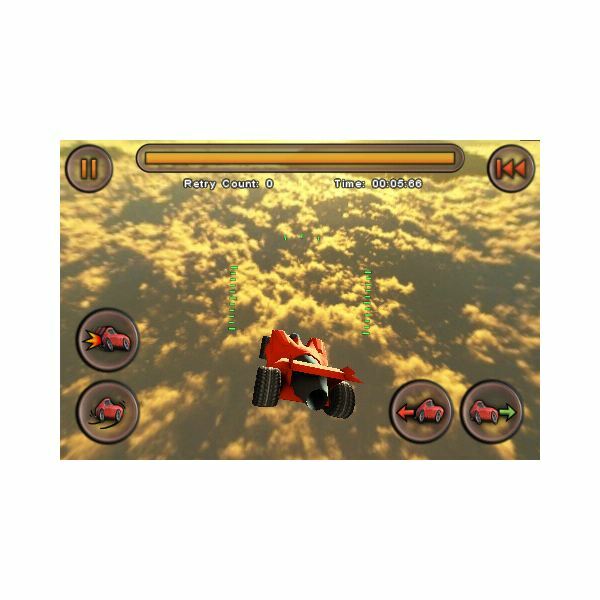 There are a variety of different gameplay modes in the full version of Jet Car Stunts, which only runs at $1.99. 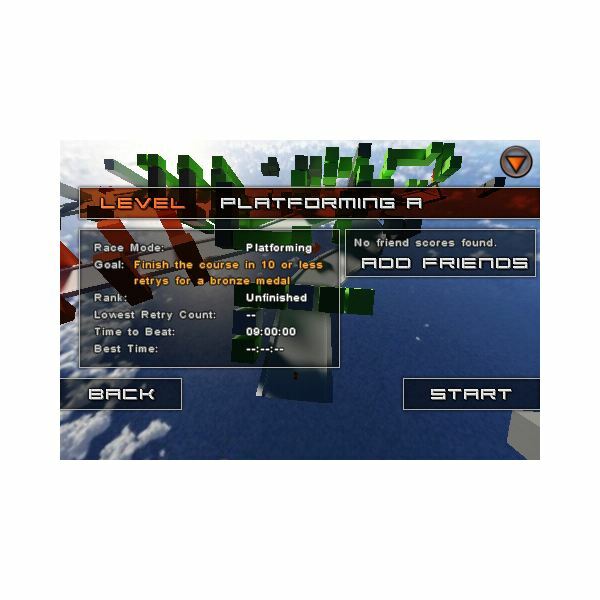 You have the standard Platform mode, which is the bulk of the normal gameplay. 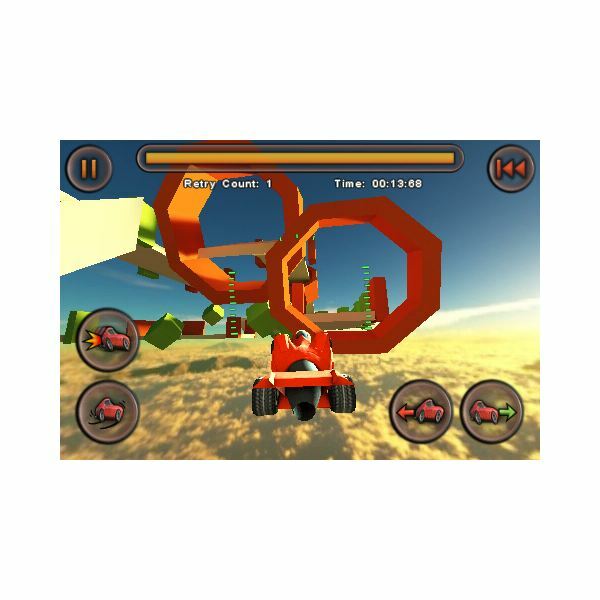 Here you progress through thirty six different levels that all become more difficult as you navigate your Jet Car through them. The Time Trial option is simply so that you can try to beat the best score and continually challenge yourself, which is where Jet Car Stunts achieves much of its replay value. Ghost Racing is one of the more interesting modes because it involves other players that may challenge you or even replays. This is much of where the community aspect comes into play in the otherwise solitary world of Jet Cars Stunts. The tracks themselves are jumbled creations from a child’s dream world, and what really lets you take off is that you have a jet propulsion system in your car. This allows you to go into air mode, but really go back and forth. 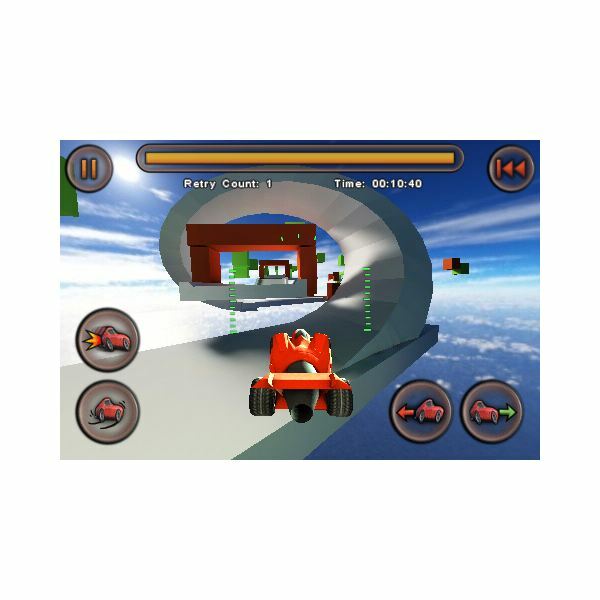 This adds a virtual third dimension to Jet Car Stunts gameplay as you have to negotiate between the two worlds. 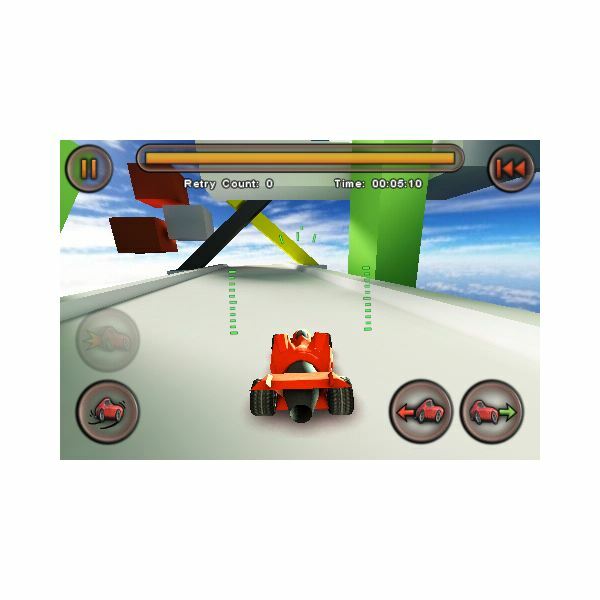 Jet Car Stunts is also one of the growing number of iPhone games that come on the Open Feint network, which also allows for Facebook connectivity. This is very attractive to some, while others not quite as dialed into social networking will not be fully impressed. into a track, but done over a blanket of clouds that suggests varying sun levels and shading. The car itself reflects the same block presentation, but looks fantastic for the purpose it serves. In general you will be immersed into a fully three dimensional environment, though it is not intended to reflect the visuals of the real world. Jet Car Stunts is one of the better new iPhone games, not to mention one of the best driving games around. It provides a complete graphical experience along with a lot of depth and even a few solutions to the fact that most of iPhone gaming is done on your own. In future incarnations there may be even more defining features and it would be nice to see the aspects of flight highlighted even more in Jet Car Stunts, but against most of its competitors it is a shining example.